Most plumbing fixtures have a shutoff valve located close to the fixture, and water heaters usually have a valve on the cold water inlet. Even if you shut off the water heater, a leaking tank type water heater may continue to leak the contents of the tank until it is empty. You should shut off the gas or electric feed to the water heater first, but don’t touch any electrical circuits or switches if you are standing in water. In Basements – the shut-off valve is typically located near the front foundation wall nearest the street. The main water may have come through the concrete floor or through the wall. The valve and meter is typically within a few feet of where the main water enters. In some cases, the main water may enter in a different area, like a mechanical room, up through the floor, near the water heater or furnace. In Crawl-space with no basement – the shut off valve will typically be located near the water heater or under the kitchen sink, but anywhere is possible. 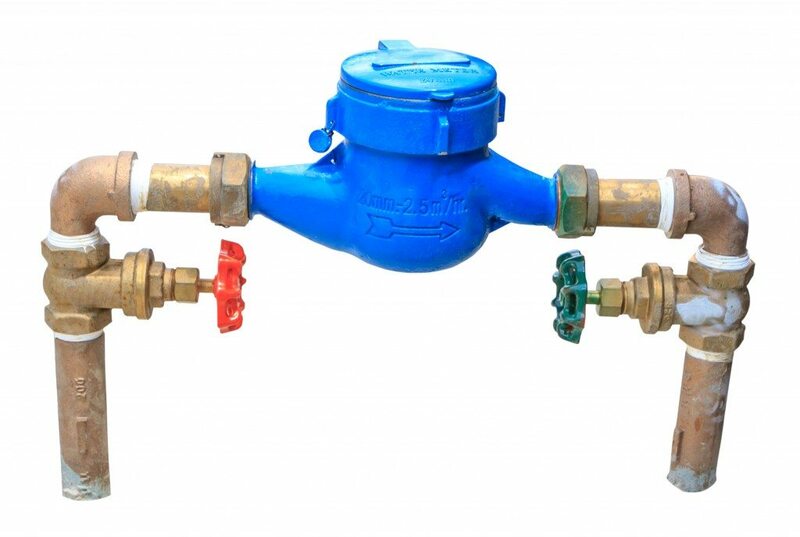 In Slab-on-grade construction – the shut-off valve will typically be located near the water heater or under the kitchen sink, but anywhere is possible. Main valves are usually located on either side of the water meter. Close one, and if it doesn’t hold, close the other. Round “wheel” handle valves will turn-off by turning the handle to the right (clockwise.) It may take 2 or more full revolutions. Slowly turn level handle valves ¼ turn, until the handle is perpendicular to the pipe. It should stop at a ¼ turn. Open a tub or sink faucet (hot & cold), on the highest level of the house to relieve pressure and watch that spout to ensure a full shut-down. Is it just a simple problem causing your Heat or AC to stop working? 1. Make sure that your thermostat is set correctly. The function switch should be set on heat or cool, and the temperature setting should be at least three degrees above or below the room temperature. Some thermostats have built-in time delays, wait ten minutes to see if setting changes have an effect. 2. If you have a warm air furnace or central air conditioning system, inspect the air filter and replace it if it is dirty. Dirty filters can cause AC systems to freeze, and furnaces and/or blowers to overheat. 3. Make sure the furnace or air handler blower compartment door is securely closed. Most equipment has a safety switch that will disable the blower if the door is loose or ajar. 4. Make sure all electrical switches are on. You may find these switches located on or near the unit and at the head of the basement stairs, near the attic access or the equipment closet, depending on where the equipment is located. These switches usually are located high on the wall or on or near the equipment itself, and have red covers. This is one of the most common reasons our technicians find when a system is completely inoperable, with no heat, AC or fan. 5. Check your circuit breakers to see if one has tripped. For most types of circuit breakers it’s necessary to push the handle completely to the off position to reset it before returning it to the on position. The circuit breaker or switch for the heater may also affect the air conditioner. 6. Verify that all gas shut off valves and gas controls are in the “on” position, including at the meter. The gas utility may have “locked out” the meter without your knowledge. 7. Most modern gas equipment doesn’t have a pilot light, however if the heater is equipped with a standing pilot, check that the pilot is lit. A label with the pilot lighting instructions should be attached to the heater. Follow the manufacturer’s directions to relight the pilot. 8. If you have an oil burner, make sure you have oil in the tank. If you don’t have automatic delivery you may have simply run out of oil. 9. Check the burner control. Press the red button once to reset, and see if the burner comes on. If the flame does not light, or if the burner makes unusual noises or smokes, shut the system off using the power switch. Do not reset the burner more than once. 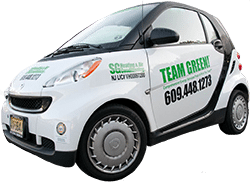 If you’re experiencing an emergency situation, call the SG Heating & Air Conditioning team immediately at 609-448-1273. Water leaks can cause damage to person and property, and can interact with electric circuits to create shock hazards. Circuit breakers and burner controls that trip repeatedly, smoking, and unusual noises coming from the equipment can indicate a serious problem. Faulty heating and cooling equipment can generate carbon monoxide, smoke, fire, cause water damage and other property damage, injury and even death. If you have any concerns as to your equipment’s condition, you should have a professional evaluate it’s safety and functionality. These tips are a guide to help you recognize and correct minor problems with your own equipment, and are not intended to be a substitute for the services of a competent technician. Perform them at your own risk. If you feel you cannot carry out any of these tips safely, contact a professional for service.